Massachusetts boasts more than 121 college institutions, including the world-renowned Harvard University and the Massachusetts Institute of Technology. The Bay State is one of the best when it comes to Massachusetts game design college programs and also makes home to many recognizable game studios. 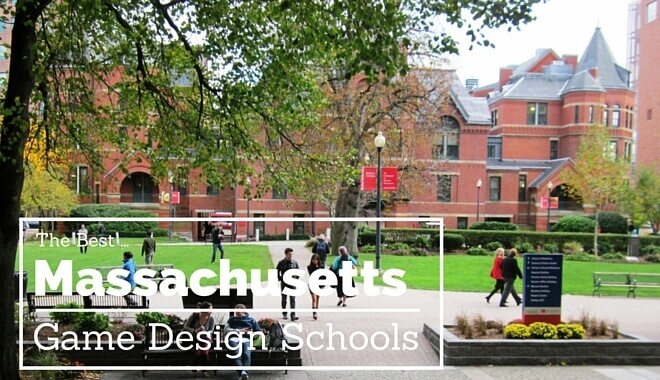 Few states can rival Massachusetts in terms of the number of schools that support some kind of game design program. It is also home to Boston, one of the most game developer-rich cities in the entire world. Notable game companies in the state include Rockstar New England, Harmonix, and Atari. Worth mentioning is that you’ll have the opportunity to attend PAX East, arguably one of the biggest video game industry conferences in the country, while studying in Massachusetts. Founded in 1899, Mount IDA College has always strived to meet the education needs of students by offering state-of-the-art labs, a tight-knit community, and several degree programs. This Game Art degree teaches you how to create vibrant, captivating virtual worlds via hands-on experience that translates directly to a real-world setting. A combination of game design and computer animation courses provide an understanding of mobile game apps, web-based computer games and animation, 3D animation, console and PC games, educational games, games for professional training, and interactive multimedia. The program is also set up to allow you to earn credits toward your bachelor’s degree while getting experience in a real workplace via internships in the Boston-area’s game companies. Notable courses include 3D Modeling, Character Animation, Texturing and Visual Effects, Environmental Art, Concept and Sequential Art, and Rigging and Technical Art. Mount Ida College’s Game Art degree is arguably one of the best in the state for offering a strong curriculum covering everything you need to know about game art and animation. The ability to earn credits while interning at a local game studio is unseen anywhere and something that every game degree should have. Average domestic tuition cost was $32,300 for the 2015/2016 academic year. For more than 100 years Northeastern University has offered a comprehensive range of undergraduate and graduate programs in a variety of relevant fields. Few schools offer as many game design degrees as Northeastern University. As an undergraduate you have the option of a Minor in Game Design or B.F.A. in either Games or Digital Arts and Game Design. No matter which you choose, you’ll come out of the program as an expert in computer science, design, and game technology. There are also two options in the form of an M.S. and Graduate Certificate if you’re interested in continuing your studies.While the certificate is a brief but valuable 20 credit hour program, the M.S. degree is a two-year deal that gives you a comprehensive understanding of how to create successful games in a player-centric environment. The obvious strength of this school is the number of game design programs available. Whether you want a taste of Game Design, are interested in a 4-year degree, or want to continue your studies as a Graduate student, there’s something for you. Average tuition cost was $45,530 for the 2015/2016 academic year. UMass Lowell is a national research university that offers nearly 200 undergraduate, Master’s, and Doctoral degrees to the 17,000 students that enroll each year. As a part of the Minor in Graphic Design you’ll learn the how to apply artistic and computer techniques to the creation of commercial and technical concepts, including games. You’ll become familiar with computer-assisted and traditional arts, including concept sketching, technical drawing, printmaking, color theory, imaging, still and life modeling, studio technique, multimedia applications, commercial art, and more. Notable courses you can choose from for this Minor include 2D Animation, Interactive Media, Illustration, Charter and Layout Design, 3D Modeling & Animation and Artbotics. Between 18-24 credits are required, depending on the level and specifications of each course. A Minor program such as this is a great way to gain valuable experience in the skills and software needed to create virtual characters and environments. Of course, if you were looking for something more substantial like a solid 2-year or 4-year game design degree then you’re out of luck. Average tuition was $12,447 for in-state students and $27,400 for out-of-state students during the 2015/2016 academic year. Suffolk University opened in 1906 and since then has provided its students with unique educational experiences and opportunities in the downtown Boston area. Suffolk’s Bachelor of Fine Arts in Graphic Design program gives you the practical and intellectual skills needed to enter a number of career fields, including game design. Expect hands-on experience with the latest technologies and industry trends as you take courses involving illustration, photography, typography, design history, and more. A Minor is also available. Some of the courses you can look forward to while part of the B.F.A. program are: 3D Dimensional Design, Computer Typography, 2D/Color, Web Design, Digital Photography, Printmaking STudio, and Motion Graphics. Aside from the great curriculum, one of the strengths of this program is that you’ll be required to either take part in an internship or thesis studio. Both serve to prepare you for a career in graphic design and the top game studios in America. The downside to this school is that no computer science game design course is available. Full-time students taking between 12-17 credits per semester paid $16,900 for the 2015/2016 academic year. Despite going through severan name changes and renovations since opening in 1885, Springfield College continues to emphasize the education of spirit, mind, and body while training the next generation of professionals. Springfield College’s Computer Graphics / Digital Arts program will prepare you for a career in several careers, including animation and FX, advertising, Web design, multimedia, graphic design, and video game design. You also have the option of choosing one of three concentrations: Web Design, Graphic Design, or 3D. During the program you’ll also have access to Game Lab events that serve as a free workshop where you can meet industry experts and experience the field first-hand. The ability to choose one of three different concentrations is definitely a highlight of this program. The only problem we can see with this school is that a degree emphasizing the technical side of game design isn’t available. Average tuition cost was $33,455 for the 2015/2016 academic year. Located just 15 miles north of Boston, Salem State University serves as one of the largest state universities in the Commonwealth of Massachusetts and boasts nearly 10,000 students each year. Completing the B.S. in Computer Science will leave you with a comprehensive understanding of modern computers, including basic design, operating principles, and organizational principles. Areas of study include computational theory, computer systems, embedded systems, object-oriented methods, parallel computing, and software engineering. One of the required courses is Computer Graphics and Games, which teaches you the applications and fundamental principles of computer games and graphics. Topics covered include 2D/3D geometric objects and transformation, modeling, game design and implementation, game-related computer graphics programming, and more. While aspiring game designers who want nothing to do with computer programming will likely stay away, this is a great choice if you’re interested in the technical side of game development. Average tuition cost was $8,130 for resident students and $14,270 for non-residents during the 2015/2016 academic year. UMass at Dartmouth gives its students the opportunity to receive a high-quality education in more than 200 academic programs. This Minor will provide you with the requisite knowledge needed to develop video games. You’ll take several programming courses while developing foundations of video game design, including documentation, narrative, and more. Aside from learning the technical aspects that go into building game engines, you also get a choice of either a Technical Track or Visual Track. This program is for you if you see yourself as the kind of game designer who knows how to build game engines, program mechanics, and more. However, if you’re more interested in the artistic side of game creation then this program isn’t for you. Average tuition cost was $11,681 for resident students and $18,363 for non-residents during the 2015/2016 academic year. Fitchburg State University is a public institution focused on integrating high-quality professional programs with worthwhile liberal arts and sciences studies. The Game Design degree gives you the chance to develop skills related to the planning and design of the interactive experience of gameplay. This includes exploring game design and development, 3D modeling & animation, level design, art and visual design, computer programming, creative writing and game studies. Other topics covered by this program include history of games, serious games, mobile platforms,and aesthetics. A Game Design Workshop is required that gives you collaboration experience designed to prepare you for an entry-level game design job. The strength of this program is the emphasis on out-of-classroom experience in the form of internship opportunities, which is exciting considering the notable game studios in the area. Average tuition cost was $9,260 for resident students and $15,340 for non-residents during the 2015/2016 academic year. Hampshire College is a private liberal arts college that opened in 1970 and has since then offered alternative curriculum as well as a focus on portfolios instead of distribution requirements. The focus of Hampshire’s game design curriculum is designed to prepare you for a career in game development by emphasizing game design, teamwork, playtesting and user testing, storytelling, communication, iterative development, game programming, 2D and 3D art and animation, audio design, entrepreneurship, and project management. The best part about this program is that courses are project-based, giving you several opportunities to work in interdisciplinary teams and develop games that will strengthen your portfolios. Average tuition cost was $46,625 for the 2015/2016 academic year. Montserrat College of Art is a four-year residential college that specializes in the visual arts and sits just 23 miles north of Boston. Montserrat’s Animation and Interactive Media concentration focuses on the idea that interactive media is now very much a part of the fine arts and commercial realms. Curriculum involves courses from various departments, including Graphic Design, Illustration and Photography, and leave you with a firm understanding of what it takes to develope Website:, video games, and other interactive media. Courses you can expect include 3D Modeling and Animation, Animation Stories, Interactive Design: 3D Game Development, and a senior seminar course involving various tea-based projects. This program is perfect if you want to learn the skills and software needed to find success as a game artist or game designer. The drawback to this program is that it doesn’t touch on the technical aspects of game building. Average tuition cost was $27,770 for the 2015/2016 academic year. Becker College offers Bachelor’s degrees in various fields at both their distinctive campuses located in Worcester and Leicester, Massachusetts. 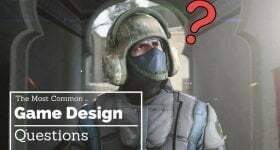 This game design program offers you a strong combination of liberal arts, game design, and programming courses that give you the hands-on practical training needed to be prepared for a career in the field. The curriculum involves a foundation of traditional art, drawing, and illustration courses as well as 2D and 3D modeling, motion capture, storytelling, game audio, rigging and animation, character development, game technology, and more. Tasks you’ll be expected to perform during this program include authoring your own game design document, designing and creating 2D and 3D graphical environments, creating and delivering presentations, demonstrating an understanding of game design principles in group projects, and more. 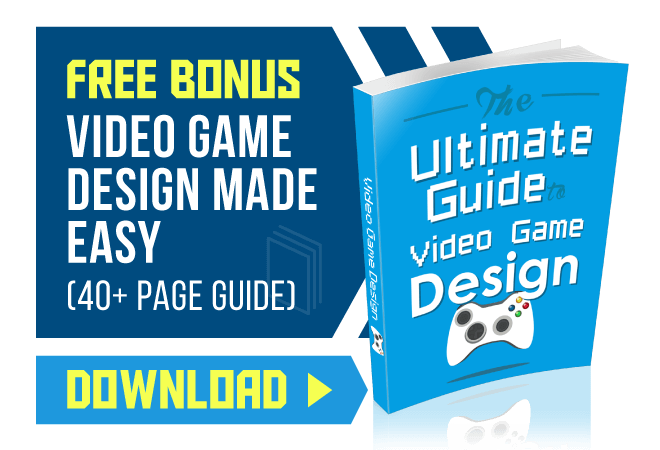 This is easily one of the most well-rounded video game design programs in the state and an excellent choice if you want a strong background in digital art techniques and software. The emphasis on group projects is also a huge plus as it prepares you for an actual game development setting in the real world. Average tuition cost was $31,500 for the 2015/2016 academic year. Boston University is a private research university that accepts more than 33,000 students each year to its eighteen different schools and colleges. This program offers a sequenced studio approach to problem-solving and design thinking for visual communication, which serves to prepare you for a successful career in any dynamic work environment. yearlong graphic design and typography studios focus on form and communication, while a senior thesis project lets you use all your skills to demonstrate how far you’ve come as a student. Notable courses in this program include Drawing, Painting, Sculpting, Web Design, History of Graphic Design, and various electives that complement the core graphic design and typography studio courses. The strength of this program is its ability to turn you into a skilled and creative artist for games. The downside is that it doesn’t really offer any courses that cover the fundamentals and principles of game design. Average tuition cost was $48,436 for the 2015/2016 academic year. Bristol opened in 1965 and in a short time has grown to offer more than 150 career and transfer programs leading to degrees in science, arts, and other areas of study. Bristol’s A.S. in Computer Information Systems will prepare you for an entry-level job in the video game industry via the Game Creation concentration. You’ll develop the computer skills needed to create your own games while working in team-based projects to develop a game for distribution. Courses you can look forward to include Electronic Game Development, Visual Concepts for Game Designers, Programming for Game Developers, Game Design on Paper, and Game production. If you want an education that will teach you the technical aspects of game creation, look no further. The concentration offers courses that more than prepare you for a job where you’ll be expected to design gameplay, mechanics, engines, and more. Massachusetts and Rhode Island residents pay $24 per credit while non-resident students are charged $230 per credit. Emerson College was founded in 1880 and located in downtown Boston. Around 3,400 undergraduates and 850 graduate students attend each year. The Interactive Media concentration provides you with the opportunity to craft creative and professional-quality interactive content. While the focus of the program is on production, you’ll also encounter many concepts of digital interactive media. While the B.A. and B.F.A. differ slightly in terms of courses required, you should expect courses that cover databases, web design, non-linear narrative structures, user-defined functions, computer animation, motion graphics, and more. This program is ideal if you want to learn the ins and outs of creating games and digital media with the latest software and computer techniques. However, aside from a Programming for Digital Media course this really isn’t the degree for you if you want a deep understanding of the technical side of game development. Average tuition cost was $39,036 for the 2015/2016 academic year.